Walking around central Jerusalem or dining in one of the city’s delightful and cutting-edge culinary establishments, it is near impossible to discern the trouble lurking out there. If you are even a casual consumer of news, you know that there are dangerous and lethal missiles pointing in the direction of the Jewish state and ready to be fired by Israel’s enemies on the spur of the moment. These missiles are directed at Israel from several surrounding countries. Most troubling are the rockets aimed at Israel from Hezbollah in Lebanon, from the Iranian forces in Syria, from Hamas in Gaza, and possibly even from the population on the West Bank, amongst others. But while this is clearly a concern in Israel, after speaking to a number of members of Knesset and other officials in Israel, it seems that the greater risk is the possibility that the Democratic Party will regain a majority in the U.S. House of Representatives after the November 18 elections. It was once said that George W. Bush was the best friend that Israel ever had in the White House. That image pales when we contrast it with President Trump and his extraordinary commitment to and respect for the State of Israel. And it is an odd dynamic because this is not the way it used to be; in fact, once upon a time, it used to be an exact opposite situation than the one that we are dealing with today. The sad and difficult truth is that former good friends of Israel like our own Senator Chuck Schumer — the self-proclaimed “shomer Israel” — support Israel, of course, but in a fashion that looks miniscule when stacked up against the efforts of the president and his administration. 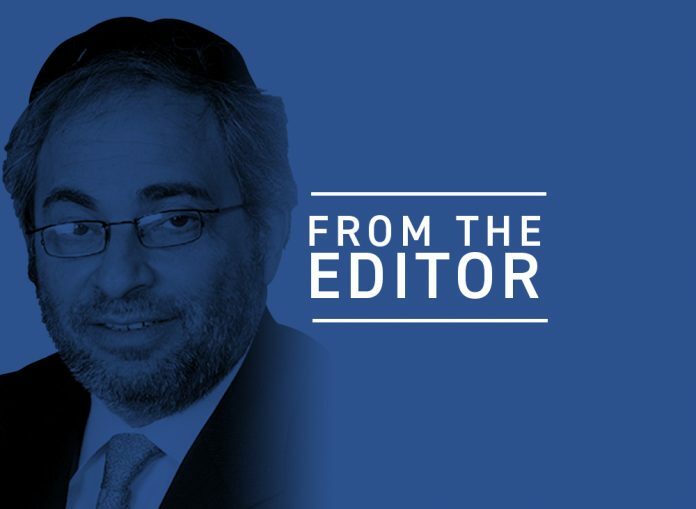 Of further and perhaps even greater concern in Israel is the anticipation of the 2020 presidential election and what it would spell for Israel if Mr. Trump is not reelected. To that end, we learned last week in Israel it is imperative that whatever can be achieved at present with the assistance of and in coordination with the Trump administration be done as soon as possible and to an extent that no future president or Congress can easily reverse. In that context, let’s look at two specific matters that are always front and center when discussing U.S.–Israel relations: The multi-decade pursuit of a two-state solution and the more recent matter of the relocation of the U.S. Embassy to Israel’s capital, Jerusalem. The idea of the creation of a Palestinian state is the closest thing to a moot issue. Officially, that is the longstanding U.S. objective and has been the case probably since the immediate aftermath of the Six Day War. Of course, going back to 1948, the idea of a state of Palestine and Israel was torpedoed by the Arab side of the equation. Interestingly enough, through a series of on-again, off-again negotiations, the Palestinian attitude basically remains the same today as it was back then — rejection of Israel. That reality, however, does not seem to faze leading Democrats like Mr. Schumer, Nancy Pelosi, and often-mentioned possible presidential candidates Senators Cory Booker and Kamala Harris. The magnetic pull for Democrats across the board of late has been the direction of the extreme left. Today, construction in settlement communities is able to move full speed ahead without objections or pronouncements about “obstacles to peace” from an intolerant-of-Israel U.S. State Department. Playgrounds are being built for children in Judea and Samaria, and young adults are now able to marry and live in the same community as their parents if they so desire. Gone are John Kerry’s suggestions that Israel’s presence in her ancestral homeland is “illegitimate,” and other dictums along those lines. The U.S. Embassy is now located in Jerusalem, finally, in compliance with U.S. law, and the Middle East did not erupt once the new facility was inaugurated back in May. In fact, reaction around the Middle East following the move was difficult to characterize as anything more than a yawn. But Israel is still concerned about what will happen if the once reliable Democratic Party is returned to the majority party in either the House or the Senate come November. That is because Democratic leaders like New York Senator Kirsten Gillibrand — also being talked about as a possible 2020 presidential candidate — aligns herself with the likes of Ms. Cortez and has said complimentary things about avowed Israel-basher and Jew-hater Linda Sarsour. 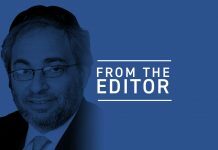 A Democratic majority in Congress would mean reintroducing the formulation of a two-state solution and the creation of a Palestinian state, a clear disaster for Israel. That’s why it was vital that the move of the embassy from Tel Aviv to Jerusalem took place as soon as it did. Had the plan been adopted to allocate $1 billion to build a new facility from scratch, you can rest assured that once the Democrats returned to power — and hopefully that will not happen any time soon — building on a new embassy site would have been interminably slowed if not completely halted. Our senator, Chuck Schumer, is a classic illustration of what is wrong with the Democrats today when it comes to Israel policy. Schumer, who repeatedly endorsed the idea of relocating the embassy to Jerusalem when he was a congressman and when he entered the Senate in 1999, praised President Trump for making the move but remained silent as other Democrats said it was the wrong time for the move. And therein is the problem and why Israel unfortunately has to fear Democrats today. So long as the move of the embassy to Jerusalem was a concept or a possibility, leading Democrats were all for the move. But once the move actually took place and was accomplished simply by erecting a new sign on an already existing building in Jerusalem, it was seen as throwing a wrench into a peace process that was already somewhere between badly wounded and nonexistent. Back in the early 1990s, Yitzchak Rabin and Shimon Peres, with the help of President Clinton, breathed life into the incorrigible terrorist, Yasser Arafat. The result was that thousands of Jews were murdered in terror attacks following the signing of the Oslo Accords, and Mr. Arafat became a billionaire. The Democrats know that American Jewish leadership is very diverse, conflicted, as well as hooked on the idea of bipartisan support for Israel in Congress. That makes sense, but only up to a point. The Democrats are not going to abandon Israel or Jewish interests even if Jews support their Republican opponents because they will have to run another time and require financial support for their campaigns. When Democrats’ ideas on Israel can potentially hurt the Jewish State, it is time for leaders to say no. Given the opportunity, the Bookers and the Gillibrands of today would do the same with Mahmoud Abbas, who is already a billionaire courtesy of American and European aid, while the majority of the Palestinian population lives in poverty and in refugee camps. You no doubt saw the sign that Senator Booker held up before cameras last week that said, “From Palestine to Mexico, All The Walls Have Got To Go.” Sadly and shockingly, Senator Booker’s spokesperson said that the senator did not read the sign and did not know what it said. That is very difficult to believe. More likely, the senator, who senses a presidential opportunity on the horizon, is attempting to go with the flow in the direction of the politics that aligns him and other leading democrats with the liberal socialists who insist that Israel is “occupying Palestine,” as Ms. Cortez said the other day in an interview. The good news is that whether he runs or not, that photo is going to follow him everywhere. Sure, missiles with warheads are a serious problem, but Israel has equipment and knowledge to deal with them. The new Democrats have somehow evaded the radar and it is incumbent upon us to vote against them and make sure they do not become a majority in Congress and do not win the White House until they recognize that their current approach is not in the best interests of either the U.S. or Israel.